Researchers from BirdLife Malta’s LIFE Arċipelagu Garnija project have confirmed the first successful breeding of the Mediterranean Storm-petrel (Kanġu ta’ Filfla) on the island of Malta at L-Irdum tal-Madonna in Mellieħa. The small seabird species, which currently breeds on the islet of Filfla and a few sea caves in Gozo, was confirmed breeding at the site following the fledging of a chick in 2016 and the ringing of a nestling which hatched this year. The finding comes after the first breeding attempt was made in 2014 and after 11 years of consistent rat control in the area. 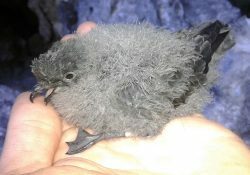 The rat control, which was initially implemented by the LIFE Yelkouan Shearwater project, was introduced to combat the threat of predation to Yelkouan Shearwaters – particularly by Black Rats – on eggs and nestlings that was in turn contributing to the low nesting success for this vulnerable species. 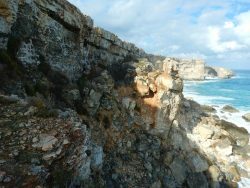 These important conservation measures have not only meant that the site still hosts the largest Yelkouan Shearwater (Garnija) colony in the Maltese Islands and increased nesting success to over 80%, but has also allowed the presence of breeding Mediterranean Storm-petrels, demonstrating that over several years these methods can enhance biodiversity and benefit a wider part of the ecosystem. 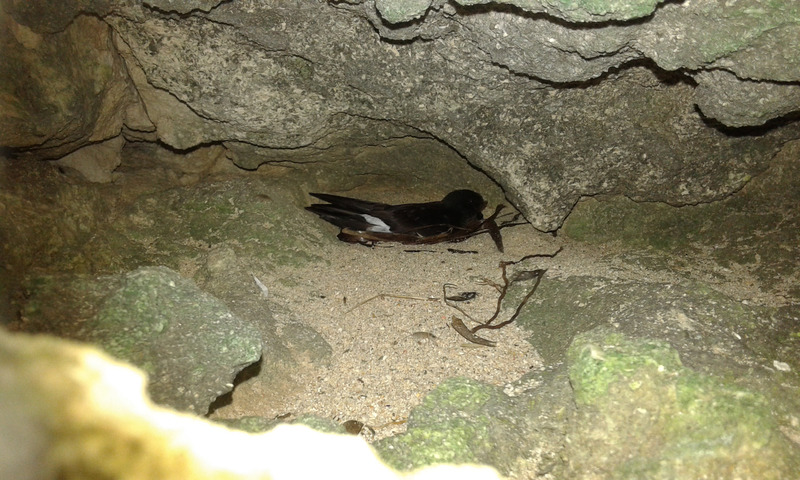 The on-site rat control actions will be continued and expanded to other sites as part of BirdLife Malta’s ongoing LIFE Arċipelagu Garnija project which could lead to more Storm-petrels nesting successfully and benefit other seabird colonies around the Maltese Islands. While rat control is efficient, waste collection in more remote areas such as L-Aħrax tal-Mellieħa needs to become more regular, so that rats will not be able to feed on organic food litter. The LIFE Arċipelagu Garnija project also encourages the public to refrain from littering and take their rubbish back home whilst enjoying these coastal areas to also reduce the feeding opportunity for rats and prevent an increase in numbers.